I was a fan of Read or Die a while back, so the idea of a series revolving around books isn’t something new. The difference, though, is that this series is nowhere near as straightforward. I’m always getting a strong feeling that there’s more to the world of Dantalian no Shoka than what we’re looking at. Granted, this is mainly because there’s so much that isn’t being explained. I still don’t think it was a good idea to center an episode around that guy with the book-powered Raising Heart, and even after the end of the series I’m not sure what his existence accomplished. It was a pretty good show, although I feel like a second season would be necessary to make sense of it all. I’m not sure what to say about this show. There were a couple detective series that came out this year, and I found this one to be the blandest of all of them. Keep in mind that includes the one episode of Gosick I ended up watching. I think I may have enjoyed it a little better if the central character of the series weren’t portrayed as such a tsundere. Maybe it’s just me, but I don’t think someone who spends all day staring at computer screens and drinking Dr. Pepper would resort to physical violence that much. Hey, I didn’t say it had to be a romantic couple. This was easily the best show to start in Summer 2011. I really liked the overall feel of old Paris. It actually reminded me a little of Spice and Wolf, since I’m not used to seeing older periods in anime beyond these two shows. In particular I liked the designs of the characters, especially Oscar. In a series like this without much story, the design and feel is very important, so I’m glad it all looked so distinctive. Of course the characters themselves are just as welcoming. People like Claude or Alice could have very easily come off as extremely annoying, and it’s a sign of the good writing that they didn’t. I’ve heard there was some sort of manga spinoff for this series, but I’m still on the fence about whether to check out or not. It could be better overall to just leave this series the way it ended. One of the first things I learned this season is to never watch this show around my pet cat. She won’t know what’s going on. I’ve heard a lot of people look down on this show because the characters and atmosphere look boring. I will admit I was never all that excited to watch a new episode, but the show itself is far from boring. The dynamic between the characters was interesting to watch, even if I keep expecting the twins to be louder and more into mind games. The thing that separated this show from lots of similar ones, though, was how it looked at romance. I’m used to much more simplistic romantic story arcs, which I guess was how Chizuru’s has been going, but the characters here are much more level-headed when it comes to their feelings. They don’t let their emotions come out in every action they take, but you can tell their emotions are still there, and that’s what makes them worth watching. I understand there’s a second season coming out at some point, and I’m still undecided as to whether I’ll watch it. It all depends on how much I miss these guys, I suppose. Clearly I am the first person to make that pun anywhere ever. I’ve been excited to see what happens in this series. It’s definitely an improvement over the much slower second season. However, I’m still really confused about how the events of this season even happened. After season 2, I ended up reading some spoilers for this season online and I was extremely worried that would affect how I view it. Then it came out and for some very bizarre reason, it was as though the series assumed I already knew all these things. Did I miss something? 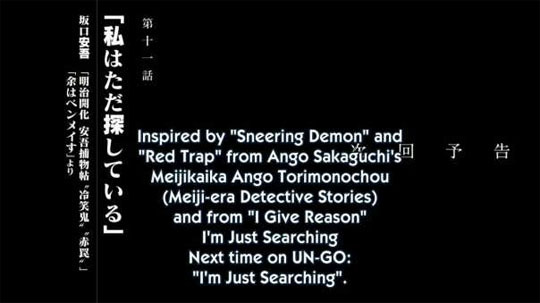 I ended up watching Shana S to see if that would have the answers, but that OVA turned out to have nothing to do with anything. I still have no idea how Yuji ended up the way he did, and the show just kind of skates past that to get to the action. It’s good action for sure, but it’s a lot like Carnival Phantasm where I’ve been going in with only some of the information I should have. Yes, we know who Shinjurou is. You don’t have to remind us. Having just finished this series, I’m only half aware of what actually happened in most of it. I get the feeling like I’m supposed to know more than what was presented, but I also think it’s less that I wasn’t paying attention and more that the show just wasn’t explaining it clearly. I guess I can forgive that to some degree when the rest of the series was so interesting. This show had one of the better casts I’ve seen this year, with Kazamori being my definite favourite. I actually came close to not watching it at first, since the beginning didn’t get the best reception, but I’m glad I started it. It’s definitely a memorable show, even if I’ll have to do a little research just to figure out who the hell Bettenou was supposed to be. Advantage #39 of being both an anime and manga fan: if you don’t like something from the manga, you can just skip the anime episodes. This season had the unfortunate luck of having to adapt one of the bigger misunderstandings of the series, which was coupled with the shorter length to make it seem like a lower quality season overall. I knew this was coming, but I also knew that episodes like those wouldn’t matter in the long run. What really mattered was the second half of the season, which had some of the best, sweetest moments of the year (at least until Yune and Alice showed up). I’d like to see more of this animated – and with the numbers the manga sells, it’s a definite possibility – but I suppose I can settle for the ending it has right now. Now how the hell could I forgot Eu? If there’s one series this reminds me of, it would be Mahou Sensei Negima. They both take the general harem formula and play it for comedy more than actual romance, and they like to sprinkle characters from other genres into it to keep things fresh. Where else can you find a vampire ninja, after all? The difference, though, is that Negima knows how to move past the harem antics into more complicated storylines, whereas Kore wa Zombie always feels kind of like a harem series, even when it gets serious. Not that it ever gets completely serious, since the protagonist can never die and if I recall correctly, the single most serious villain still did the “That’s not a kick!” gag. It never really jelled with me as much as a lot of others. But will I watch the upcoming second season? You know, I think I will. 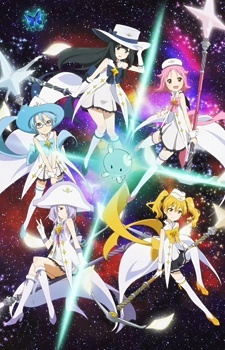 For those who don’t know, Hougako no Pleiades is the joint creation of Gainax and Subaru. Yes, the car company. You can imagine the sort of product that resulted from that. 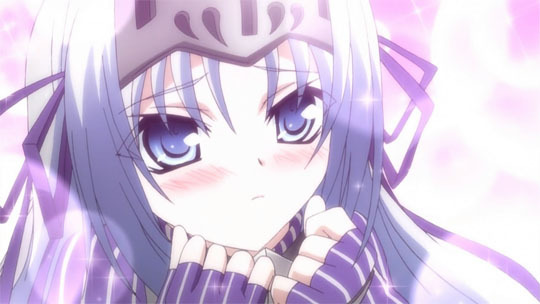 And as someone who doesn’t even like normal magical girl shows, you can imagine how forgettable the whole thing was. It was short, very generic, and I don’t think it made any sense, but I’m the wrong person to ask about that. Still, this series was fairly harmless overall, and if all I got out of it was a silly premise, then maybe there was some value to it after all. 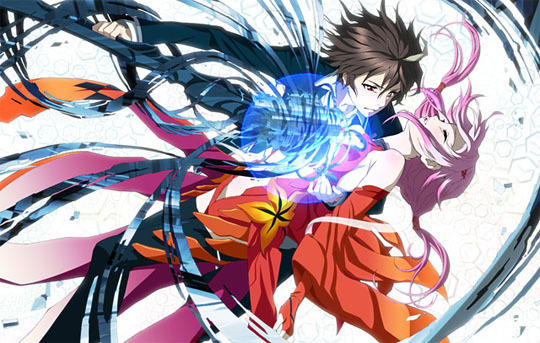 There are quite a few people I know who are watching Guilty Crown simply to see how stupid it can get. Regrettably, I’m not one of those people, as I stopped watching this series simply because I couldn’t work up the energy to see another episode. I don’t remember where it was I stopped at, but I do know the next episode was going to be a set at a beach. I think that was actually why I stopped watching, because just when I thought it couldn’t get any more generic, it did. I just kind of assumed I would catch up again if other people started to change their minds about it. As it turns out, the one event that got the other viewers excited turned out to be the exact plot twist me and many other people saw coming from the start. I guess that goes to show that the writers of this series don’t know what being generic actually means. I don’t know what I was expecting when I started watching this show. I just heard that it was a show about money and assumed it would be much more logical and coherent. My own personal knowledge of economics is limited, but I get the incredible feeling that this show was just using random terminology to appear smarter than it really was. 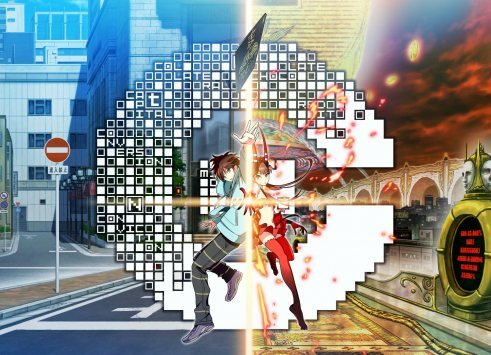 I also had trouble figuring out how the Financial District worked, since it was heavily implied that your actions and winning there affect real life, but the main character was still some kid working a simple part time job, no matter who he won against. I’m not going to go so far as to call it a bad series, since it isn’t one, but it really comes off as something with a lot more focus on coming up with ideas than on actually stringing the ideas together. I guess it’s a little ironic if the biggest failing of the show is not knowing where to put the budget. This show was several episodes in before I ever heard about it, and if it wasn’t for the anime blogs I visited, I might never have gone anywhere near it. But I’m so glad I did. The personal lives of Ohana and the rest of Kissuiso are incredibly charming and very easy to get caught up in. For some reason I liked Nako the most out of all the cast. If there’s one thing I didn’t enjoy about this show, it’s that Minchi can be a little too much to deal with at times. It’s not always good to wear your emotions on your sleeve. But even she got a fairly satisfying ending, and for the whole show I never felt like it was reaching too far for the warm and fuzzy moments. I wouldn’t like to work at a countryside inn myself, but after this show I may consider visiting one someday. Although I doubt the people working there will be as charming as these guys. Do you ever read the synopsis for a series and just know that it’s going to be something special? Because that’s the feeling I had with Chihayafuru. I mean come on, it’s a combination shojo/sports anime. These are both genres I’ve had some success with, so seeing them together was very welcoming. It’s not even that strange of a mix, either, since I’ve seen heartwarming character moments in sports manga and real excitement from shojo. 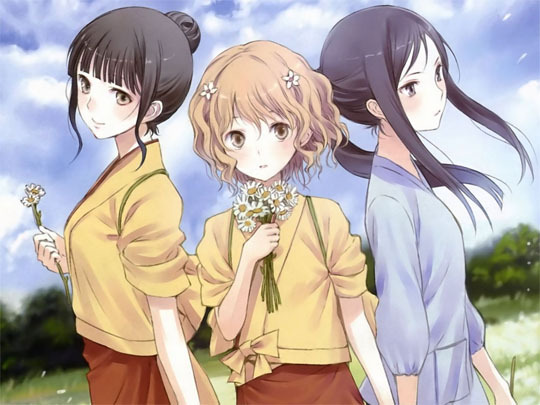 Like with Hanasaku Iroha, it’s the characters that make this series what it is. Chihaya herself is fun, energetic and ambitious, which makes her constant struggles all the more enthralling. Also, I know I’m not the only person who finds her a treat to look at. Taichi started off rather annoying, but since then he’s almost become the heart of the team, strengthening the bonds with everyone else and himself. Arata was always fascinating, and I’d like to see more of him then we’ve been getting. The supporting cast has a good amount of charm to it as well. They all add up to create a great cast dynamic centered around an exciting game, and you can feel the tension that goes into each flip of the cards by each character. All in all, I think it’s the single greatest quality in all the shows I’ve seen this year. But if I had to name the one show I enjoyed watching more than any other, the choice would be an easy one. This series may not be as pretty or warm as Chihayafuru. It may not be as atmospheric as Ikoku Meiro or as sad as AnoHana. Maybe it doesn’t have Hunter x Hunter‘s action or Madoka‘s impenetrable wall of symbolism or Working’! !‘s Yamada. But it was my favourite series this year simply because more than anything else, it managed to be FUN. Nowhere else can I see someone get bitten by a dog and let out a scream that qualifies as an Anti-Army Noble Phantasm, except perhaps a hacked copy of Skyrim. This show does that, and it then somehow manages to get a very adorable scene with two of the characters involved reuniting to draw shark pictures. Watching the girl who came second in the “Best In-Universe Troll” category become genuinely happy over her meeting with a little girl is the sort of event that only comes about once in a blue moon. And throughout everything, this show always had my attention and never left me feeling bored. I only hope Kyoto Animation can pull off something like this once again, but the odds of that aren’t great. This show was really one of a kind. Well, that was 2011 in anime. I still have to go back and watch a few things from this year, but this was what I thought of the series I watched as they came out. It really was a good year for anime if we got so many hits, even if I didn’t enjoy all of them. Here’s hoping next year will give us even more to talk about. Of course I still have my manga from this year to discuss. Expect to see that in two or three days, since I think there’s another post I should complete beforehand. You’ll see. 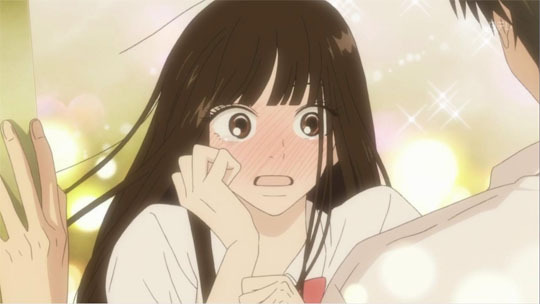 Posted on December 26, 2011, in Kimi ni Todoke, Top Lists and tagged anime, C, Chihayafuru, Dantalian no Shoka, Guilty Crown, Hanasaku Iroha, Hougako no Pleiades, Ikoku Meiro no Croisee, Kamisama no Memochou, Kimi ni Todoke, Kimi to Boku, Kore wa Zombie Desu Ka, Nichijou, Shakugan no Shana, UN-GO. Bookmark the permalink. 16 Comments. How could two little girls not be the best couple. They were so opposite in every aspect it was enjoyable to see them interact. 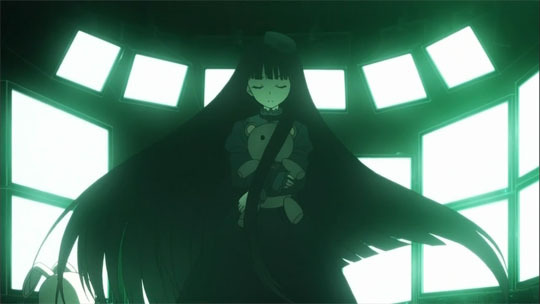 Dantalian no Shoka was very mysterious. A few things never really got explained which made it all the more enjoyable for me, not everything needs an explanation after all. I’m currently reading Girl Friends, so I know exactly what you mean. It’s okay to leave a few things unexplained, but that show may have taken it a little too far. You may be right but I really hate it when there is a mysterious thing in an anime that gets ruined by a dodgy explanation. I’d rather it just be left unexplained. I agreed in almost every aspect of your list, it’s just unfortunate that I didn’t see the other shows. 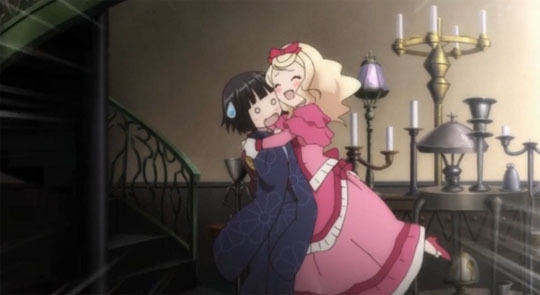 I definitely agreed with Alice and Yune being the best couple, well, what else can I say. However, I’m not sure if I’m going to say that Chihayafuru is the best overall anime, but it’s certainly up there on my list. Of the shows I’ve seen, it’s some of the best looking and has some of the better writing, so it felt right to put it there. Like you, if I’d seen the other shows I might have changed my mind. Please don’t forget that Eu and all the other girls from KoreWaZombieDesuKa are mine and not yours. Ok?! Wow, I was sure you’d be grilling me for not making Chie the “Hottest Character”. You can have those girls, but always know that you can’t save everyone! I like this list, than the previous one. I have to agree with most of it. 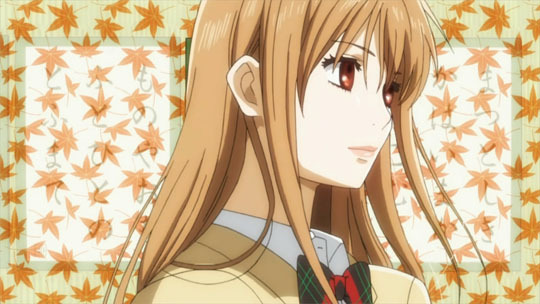 Best show for you is Chihayafuru.. Ermm haven’t watch it yet. I might give this anime a go. I really like it, although that could be because I’m into sports and shojo series. It’s still a really good anime, though. 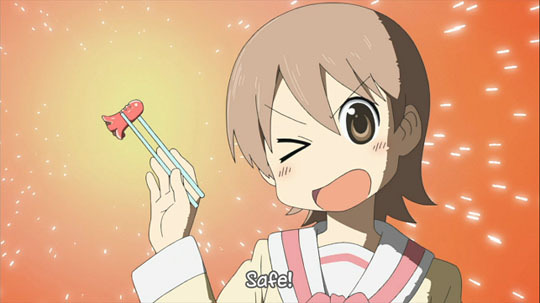 You know, aside from Nichijou, i know nothing about anything you typed up there, which just shows how far behind i am, but i can say one thing. You have some of the most creative categories i’ve seen in a long time. Yes, the categories are half the fun of making this. I probably could have thought of a more original one for Shana, but I like what I ended up with. 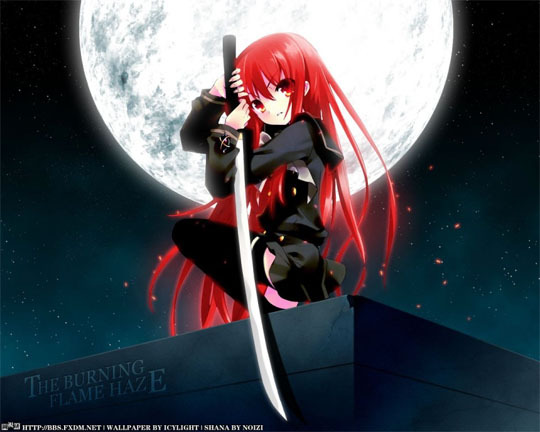 Seen someone make the Shana – hot pun before, but yeah, you would be first blogger I know of to use in a post, lol. 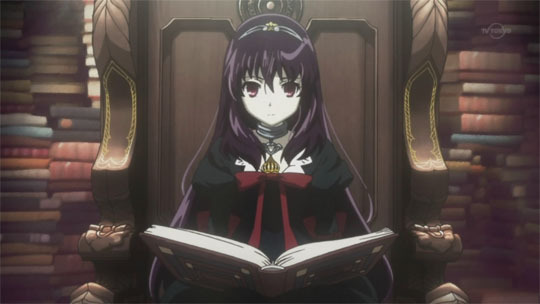 Think Alice from Kami memo deserves the Best Orator award, especially after the dialogue that show contained. 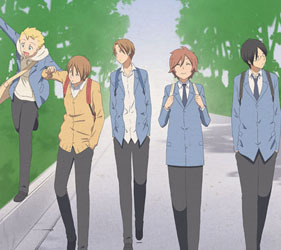 Also, I never did get the use of cats in Kimi To Boku; not exactly sure what that is all about…. I’ve mainly seen it on TvTropes. That was just one of the more difficult shows to choose an award for, somehow. I remember Alice’s speeches, but what I remembered more was her tsundere behaviour. Maybe that’s just me. I’ve heard there was a second season, but I don’t know too many details about it. It could just end up being a refresher on why I forgot it in the first place.